This is a scalable context timeline. It contains events related to the event (Late July 2000): Intelligence Briefing States that the WTC and the Pentagon are the Most Likely Terrorist Targets in the US. You can narrow or broaden the context of this timeline by adjusting the zoom level. The lower the scale, the more relevant the items on average will be, while the higher the scale, the less relevant the items, on average, will be. Unit Produces Reports on the Most Likely Terrorist Targets - The briefing was prepared by the JFIC’s Asymmetric Threat Division (DO5), which is responsible for reporting on “asymmetric threats,” especially terrorism. Between mid-1998 and mid-2001, DO5 carries out a wide range of original analysis. Based on this analysis, according to Iron Man, it creates numerous original reports that identify the probable and possible movements and locations of al-Qaeda leader Osama bin Laden and Mullah Omar, the leader of the Taliban in Afghanistan. It also creates reports on the most likely targets for domestic and international terrorists, both within and outside the US. WTC and the Pentagon Are Named as Likely Targets - The first of its reports are prepared in the summer of 2000 and are briefed to numerous US Joint Forces Command (JFCOM) staffers. The first version of the briefing is titled “The WMD [weapon of mass destruction] Threat to the US” and is apparently produced in late July 2000. (The “information cut-off date” for the briefing is July 16, 2000.) The briefing slides emphasize “that New York City [is] the most difficult consequence management problem” and recommend using New York as “the model for planning/exercises,” according to Iron Man. The oral briefing is more specific, indicating that the Twin Towers are “the most likely buildings to be attacked in the US, followed closely by the Pentagon.” The person who delivers the briefing indicates that the “worst-case scenario” would involve one of the Twin Towers collapsing onto the other. Possibility of a Plane Hitting the WTC Is Discussed - Iron Man will recall that the possibility of a plane striking the Twin Towers may have been discussed in the briefing. “[I]t was certainly discussed in the red cell analysis leading up to the briefing,” he will write. During that analysis, the acting deputy director of DO5 proposed that the Twin Towers might be struck by a jet aircraft. In the discussion that follows the oral briefing, the possibility of contacting WTC security, engineering, and architectural personnel is suggested. The idea is not explored further, though, “because of a command climate discouraging contact with the civilian community,” according to Iron Man. 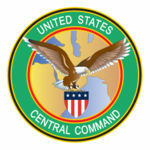 At the end of the briefing, JFCOM’s operations directorate instructs that the “national military terrorism exercise” for 2002 should be based on a “New York worse-case scenario.” The military is unable to use this scenario for its 2001 exercise because it is already financially committed to conducting an exercise involving a cruise ship that year.